"Found Engage web very easy and helpful to work with. I was impressed with their “work only” conversation from the very first meeting - this gave me confidence that they were concentrating on the job and my satisfaction. The proposal was awesome – clear but detailed and thorough . They maintained a customer focused approach at all times . Their knowledge is demonstrated by how clearly they explain things, and I would very willingly ask them to assist in the future. " "Brilliant. Engage Web took a detailed brief and worked with me to create a website better than I had hoped for. With consistent and understanding support throughout the process. Not only this, with immediate return on investment of multiple prospects contacting us through the website within a week of creation! 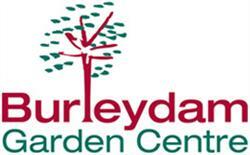 I wouldn't hesitate in recommending them to anyone!" "I just wanted to say a big thank you for increasing our overall website leads significantly over the past 12 months in the areas that we have asked you to. We still have lots to do this year and I’m sure working together we will go from strength to strength. “I think we have finally found a company that I can trust to do what they say they will do” "
"I am so grateful for all your support, never once did I feel on my own dealing with it which we had been until you took over – we at Top Teks are all very grateful." "I just wanted to take this opportunity to finally thank you for the assistance that you provided with my email hosting services during the initial stages of my company start-up. I would have no hesitation as and when the opportunities arise, to point businesses seeking to improve their online presence in your direction so that you can offer them the benefit of your skills and extensive experience." "I would like to thank Lianne and Mark at Engage Web for the help they have given us recently with our website. Lianne went through our current website and helped us identify ways to improve and fix some of the problems we were having. Mark then managed all of the work and made sure I understood all of the changes and how to use the new version. I have now begun speaking to Mark about social media and other ways Engage Web can help increase business through our website. I would have no hesitation in recommending Engage Web to my friends, colleagues and clients - and will do so whenever the opportunity arises." "You’re an absolute star. Thank you, and please pass on my thanks to everyone who worked so hard on the site getting it to where it is today. I think it looks absolutely brilliant and I couldn’t be more pleased with it!" "I came to them for my online marketing as they were recommended to me by a friend. I am highly impressed with the service they have supplied, as a result of their hard work; within the first year my turnover has increased three fold. 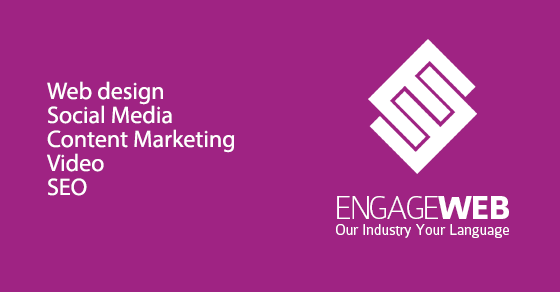 I would not hesitate in recommending Engage Web for Online Marketing." "When re-designing our new website we were keen to get the landing pages technically correct but readable to potential customers. Based on a recommendation from our web designer I approached Mark to rewrite our original text for the landing pages, which he and his team did in a professional and timely manner. Given the high technical content of the landing pages this was no easy task; however the results were a credit to his team. The subsequent launch of the new website and the early statistical returns are indicating that the work done by Engage Web has proven to be successful and effective in attracting the customer to enquire for more information." 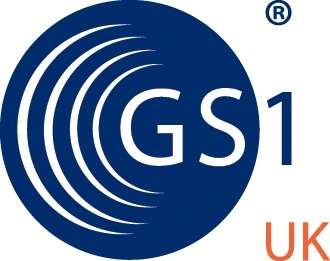 "We have just renewed our contract for another twelve months, the reasons being: 1 - Online sales opportunities have risen in the last twelve months - 2 - Lianne and her team are reactive to their customers' needs and regularly offer sensible solutions to improve our web requirements. In summary, Engage Web are the first web design/SEO company that have provided real results." "The business is in the best position it’s ever been in from a website marketing point of view. Working with Engage Web is easy because they take care of everything. They are efficient, pro-active and great value for money." "Darren, I would like to thank you for your patience teaching me the SEO tools I needed. I found it incredibly rewarding and have made changes already, I just need to put my SEO strategy and plan on paper! I have already mentioned your incredible talents to a few businesses, one of whom ironically already knew Lianne and had nothing but great words to say about her and the ethical business you conduct. Once again it’s been a joy and hopefully speak to you soon." "I've worked with Lianne on more than one occasion in the past, most recently using the copy writing services. I've been very pleased with the copy writing services that Engage Web has provided for our clients, including brands such as The Co-operative Travel. Precise and matching the brief, with a great attention to detail; it's great to work with a company that understands the fine balance between user-friendly and SEO content." "Can I just say thanks for all your hard work with my site and SEO. You are really efficient and have done a good job for me. I do appreciate all your work and the way we are going forward and picking up more traffic, rankings and enquiries. I like how you explain everything so I understand it. Google, google, google, you guys must dream Google!!!" "Engage Web has been very instrumental in the continual improvement of sales at Christian Davies Antiques. 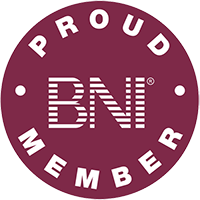 Their professional approach has seen our website visitor numbers per day more than treble since our association began and traffic is still growing. Without doubt they are now an essential part of our team." "I just wanted to say thanks for the great job your team are doing with the SEO copywriting, it's paying off in the stats and now with the calls!" "Engage Web's team of writers have been providing articles and blogs for our sites since 2008. The tone and quality of the material is in line with our brand objectives and we like that we can alter the brief whenever we need to. The content is integral to our SEO efforts and something we'll continue to make use of." "Following several years with another SEO provider, we decided to move to Engage Web at the end of 2011. The move was simple and quickly facilitated by Darren at Engage Web.Since placing our business with Engage Web, we have enjoyed excellent service and communication. 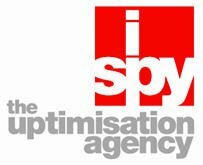 Engage Web were quick to identify breaches of Google’s policy in relation to many of the site links that had been created by our previous SEO contractor. When Google launched its latest algorithm change early in 2012, our site was heavily penalised as a result of these poor quality links. Engage Web worked hard to ensure that our previous SEO contractor removed the offending links (as only they could), and then communicated effectively with Google, getting the site ranking restored to its former positions. 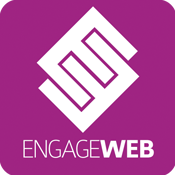 Well done to all at Engage Web! I would have no hesitation in recommending Engage Web as highly competent and knowledgeable SEO experts. For once, I have been pleasantly surprised by an SEO company." "Following a recent error of judgement on my behalf, in allowing an inexperienced youngster, with little understanding of business, to initially produce a web site on our behalf, I wish to warn others of the following words. Should someone you know such as your son's girlfriend say to you, “May I do your web site for you for free so I can add it to my portfolio”. SAY NO!Thank you Lianne, for your patience and professional approach to dealing with the consequences of my decision not to say no. You recovered as many of our files as possible and got our site back on line within a reasonable time and reasonable cost.I would have no hesitation in recommending Engage Web to any of my contacts or friends. I thank you and your colleagues for your assistance." "I have been getting frustrated with our website for some time, as whenever I want to update it, I spend hours in front of the computer and rarely get the effect I’m looking for.After mentioning this problem to Lianne, we discussed the implementation of a Content Management System – which would make editing our website far more straightforward.I wish I’d done this a year ago – it is exactly what I was looking for and I can easily add pictures, content and blog articles, wherever and whenever I want. Engage Web are a professional, approachable and cost-effective solution to any web-based issues. Huge thanks to Lianne, Mark and the rest of the team at Engage Web for transforming our website. I will certainly be recommending you to other business associates." "Within a month you had us moving up the pages of Google as previously when anyone searched for our products without mentioning our name we were nowhere to be seen. Whatever it is you do it works. I would have no hesitation in recommending your services to anyone." "I’m writing this testimonial after having our new website designed and hosted by Engage Web. The website has surpassed our expectations, working with a fellow design organisation isn’t always the easiest, but Engage Web listened to our aspiration, looked into our brand and understood how we want to interact with our current and potential clients. The feedback we had from the launch has been impressive. We would like to thank Engage Web for their patience and understanding to create this unique website."